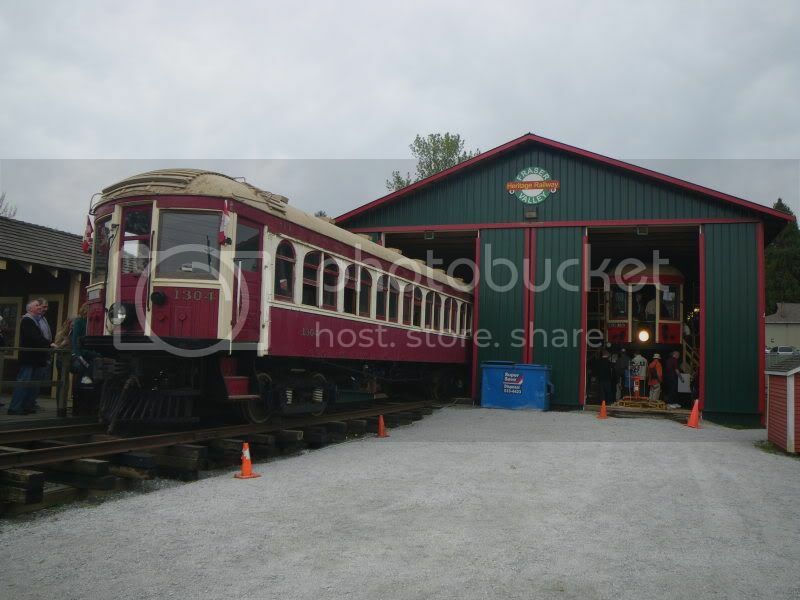 Is anyone planning to see the train next weekend, if so where are you planning to see it. Avenue and 152nd Street in Surrey. Since no one has posted photos yet, I'll gladly share mine! 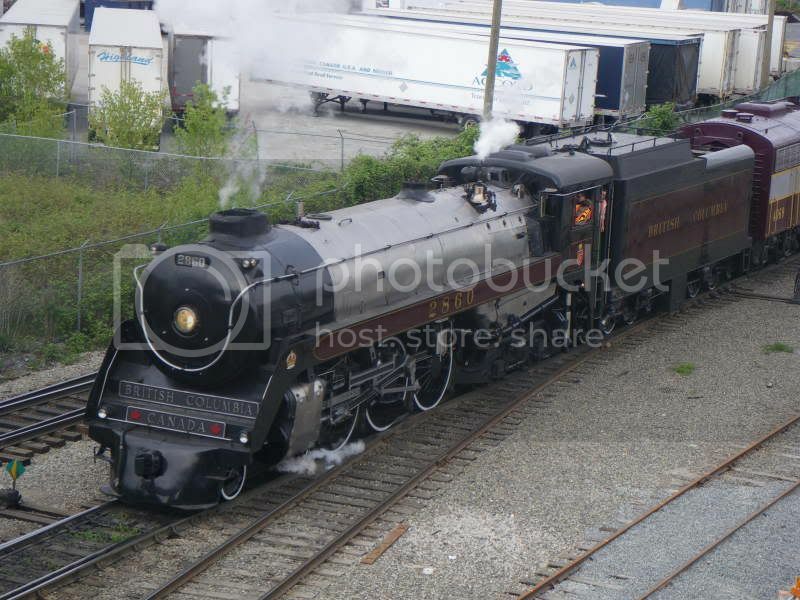 The Royal Hudson #2860 and F-unit #4069 were being kept at Southern rail's shop in New Westminster. Just before 10 AM they made their way, with train, to the Quay. Once over the Fraser River the tracks climb the steep grade up Kennedy Hill. The 2860 is not really a climber (she's more of a flat line speedster), so we were all in for a treat! This is Scott Road and 99th Avenue, about half-way up the hill. 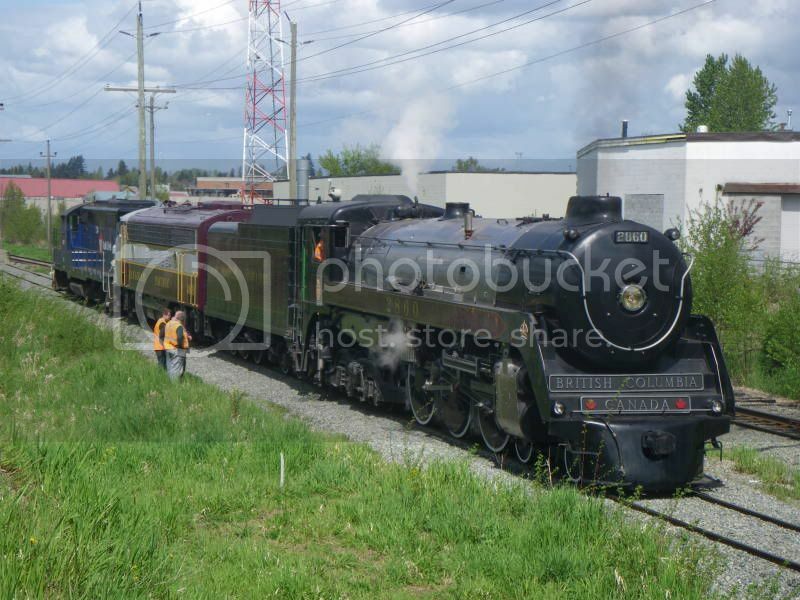 In Cloverdale after uncoupling from the train to water the 2860's tender. 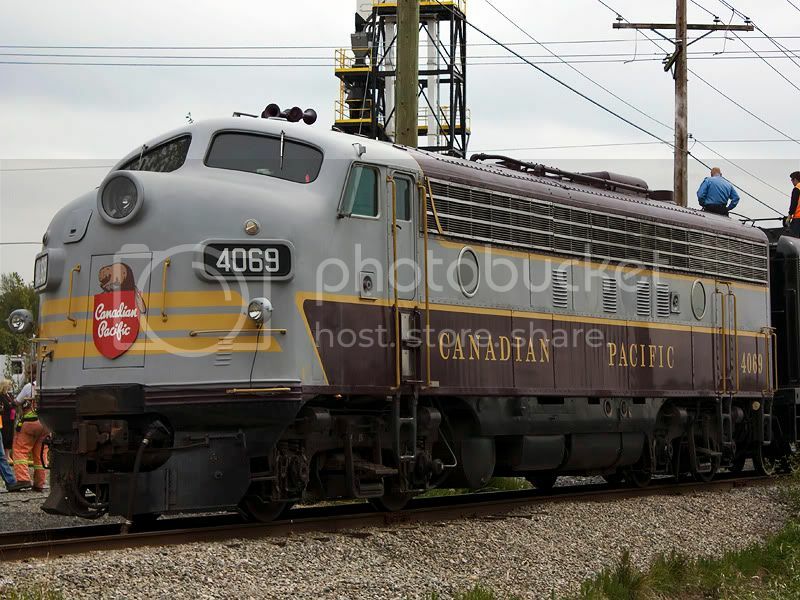 The 4069, with that beautiful 5-chime whistle, was allowed to keep all her old CP Rail emblems for this trip. 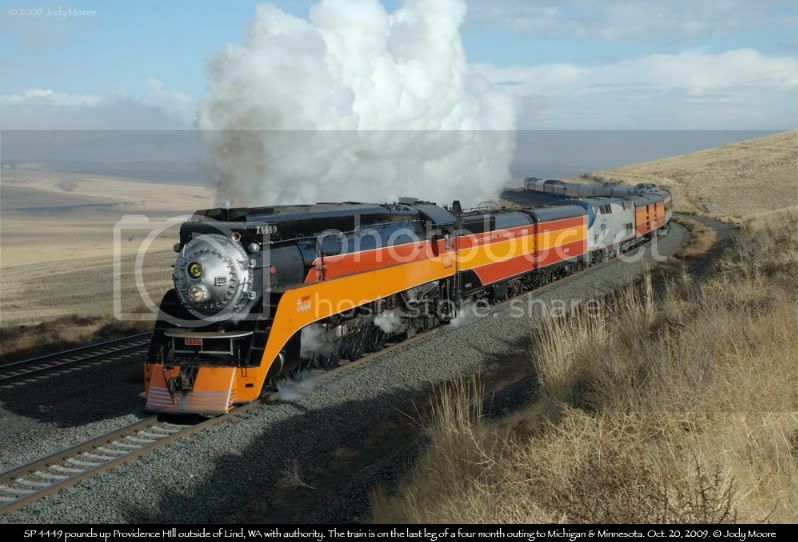 There was no way of turning the engines around in Cloverdale, so the 4069 led the way on the return with 2860 running in reverse. Here they are about to cross Highway 10. 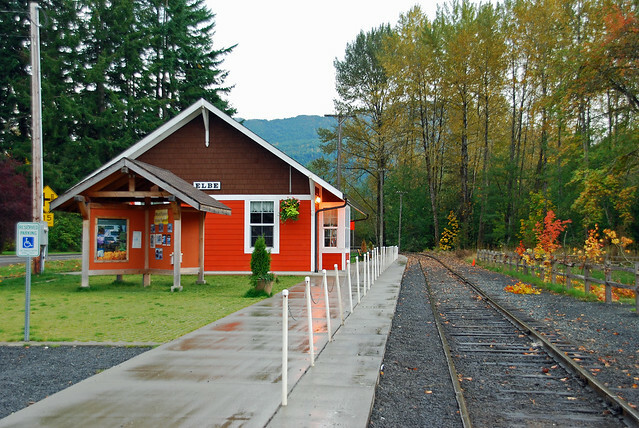 The train stopped along 64th Avenue and the passengers walked back to the Sullivan Station museum. 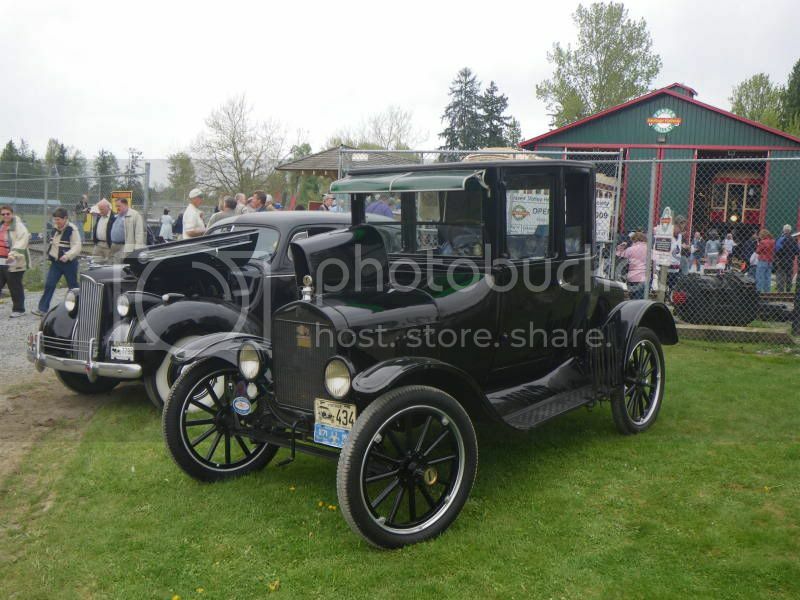 BC Electric Railway #1304 had just been delivered from Oregon the previous week. The Museum stop afforded us the chance to set up our cameras for the long crossing at 64th Avenue and then the crossing at 148th Street. Gotta love that horn!! I managed to get above the tracks on the Patullo Bridge just in time!! With the slow pull up Kennedy Hill and the threat of rain (making the rails more slippery), caution was thrown to the wind and a SRY GP9 was added to the historic engines for the trip on Sunday. At Cloverdale, waiting for water once again. 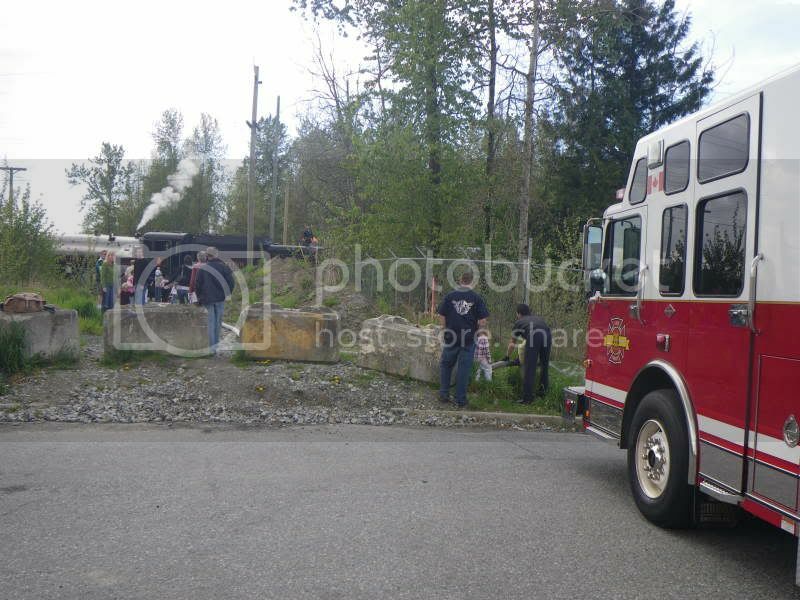 Surrey Fire was called up on both days for water. It was here when we found out the 4069 was not operating properly today and, therefore, could not lead the train back to New Westminster. 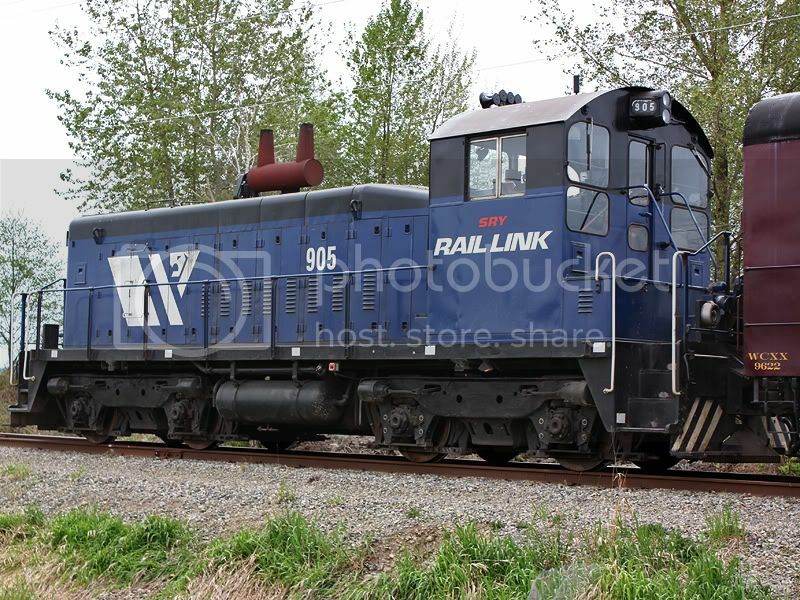 So, the SRY GP9 was put on the point. 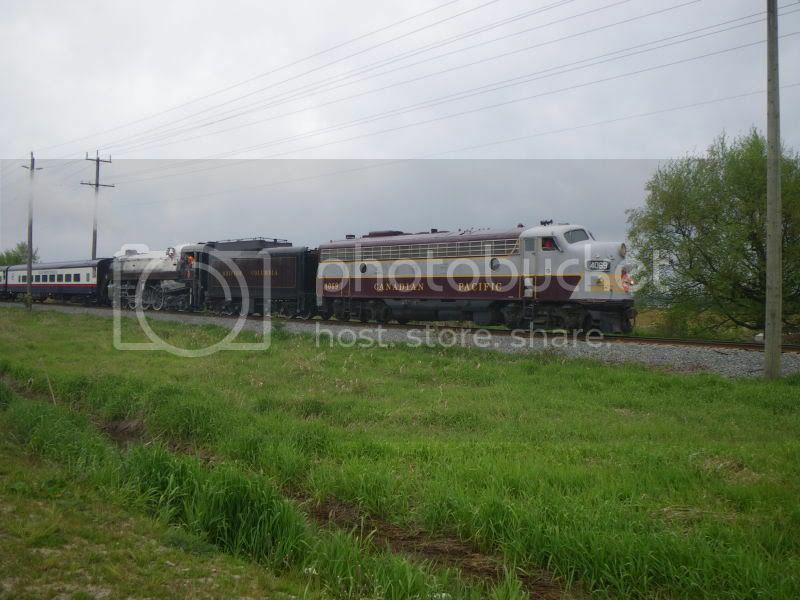 I just couldn't get jazzed about chasing an GP9! 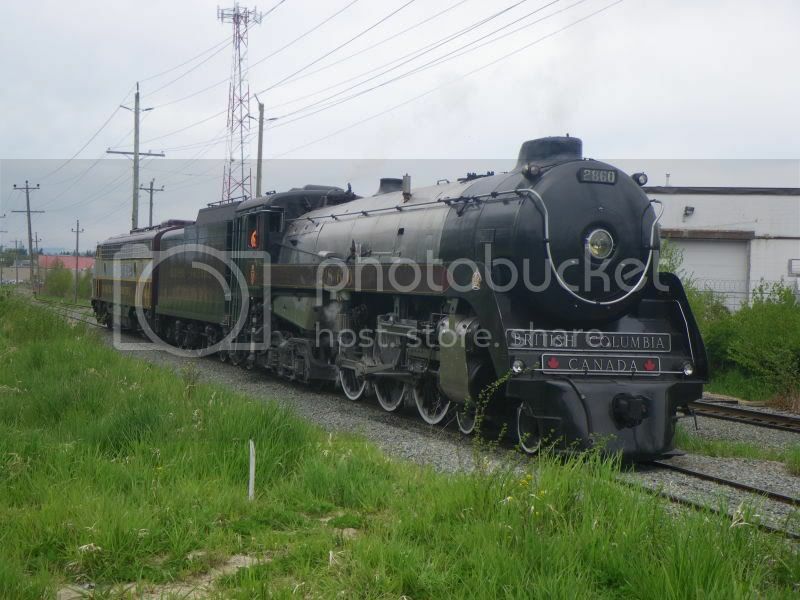 The 4069 wasn't even blowing that beautiful horn and the 2860 was saving all her steam for the hills!! 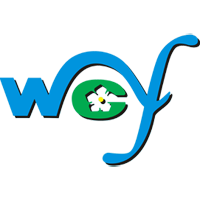 thank you very much for the images. It is certainly appreciated. Great shots. 124 is a GP9 though. SD9's have 6 axles. 124 is just back from a few months on the E&N. 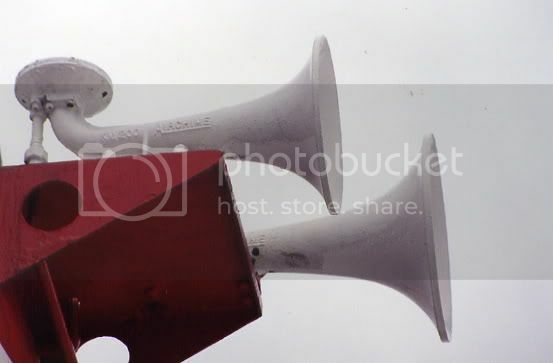 Great pictures Airchime! 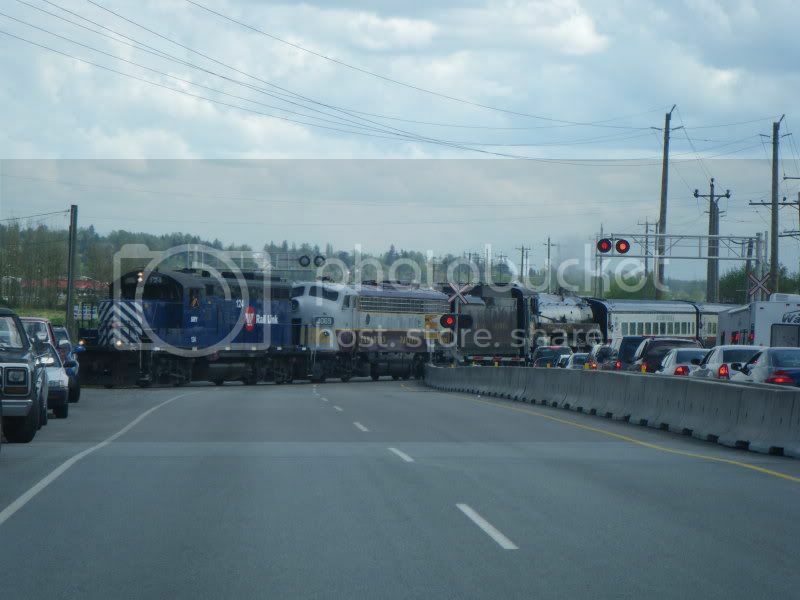 That is unfortunate that the gp9 had to lead the train back. I was there on Saturday and took a few photos but I forgot to upload them. I will get on that now and will put them up later tonight. 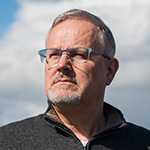 Excellent photos and videos of the event. It just seems a little odd that there wouldn't even at least be a wye somewhere along the route where they could turn the engines. You're right about the 2860 not being much of a hill-climber, as well. Both classes of CP Hudsons were built for express passenger services (and later, fast commuter services) they were built for fast, long distance running on the mainline. You can't exactly call the SRY line through Surrey a mainline. 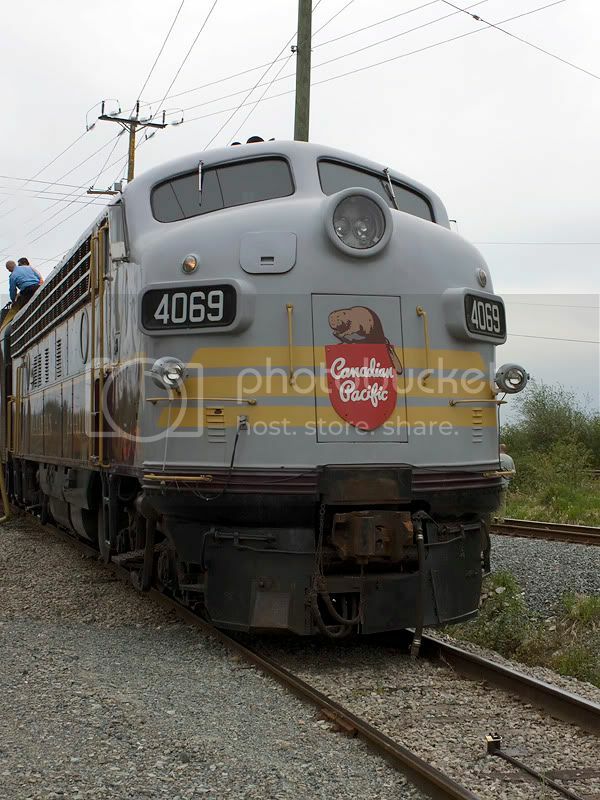 In fact, you can sometimes hardly even call the BCR line from North Van to Squamish a mainline, at least not the kind of mainline a Hudson likes for fast running. I'm sure she never managed her true 75-80 miles per hour top speed capability running that route either. Some fans of the Hudson's even claim their top speed was even higher, in excess of 90 miles, but you just can't do that going up a hill, since you lose traction pretty fast on hills. From what I heard they were going to wye it over a bridge but then found out that they couldn't, not sure why though. The reason they couldn't why her is because the radius of the wye was apparently too tight for the 2860 to get her feet around. They eventually got her turned around using the wye at the BNSF yards near Terminal Ave. but they had to take it very slow for her to make it around without slipping. 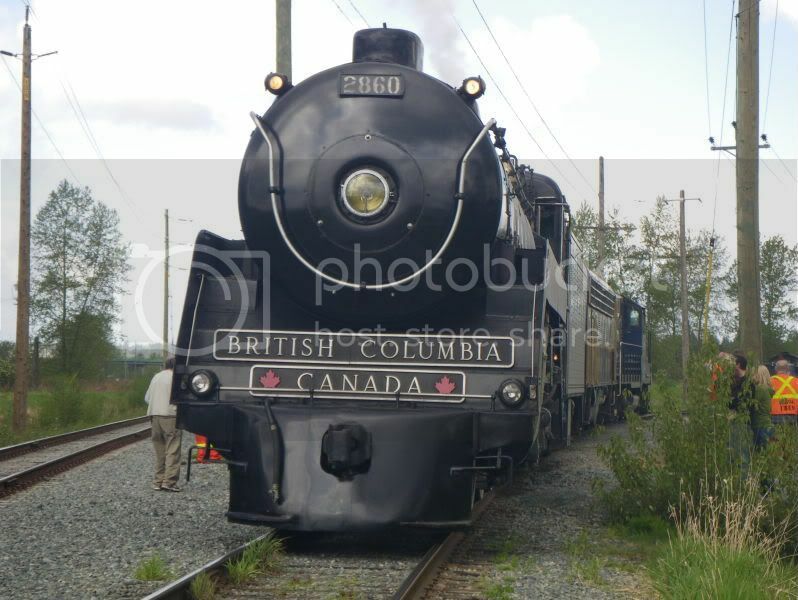 If anyone is interested< I heard today that they are repositioning the 2860 and the rest of the museum train back to Squamish on Tuesday. 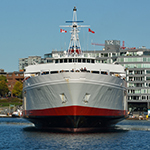 For $75 you can gain admission to ride along for the trip and then bus back to North Vancouver. 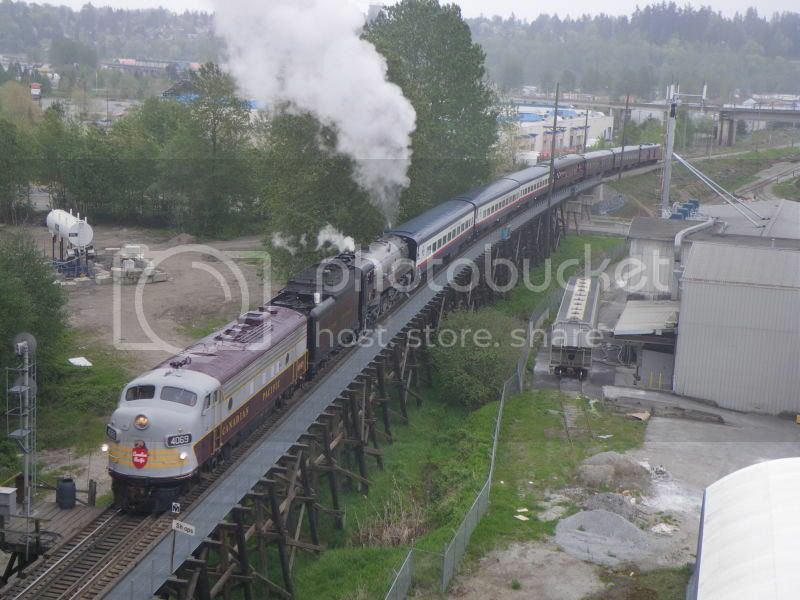 The train departs from the station in North Van sometime Tuesday morning. 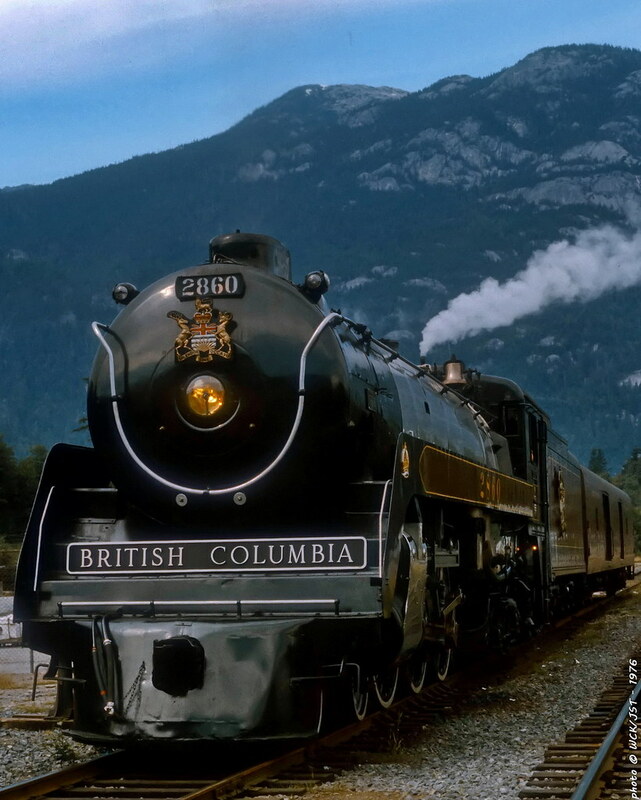 The Royal Hudson returns to its classic North Vancouver to Squamish route as we team up with the Whistler Mountaineer on the occasion of its 4th season inaugural, Tuesday May 12. 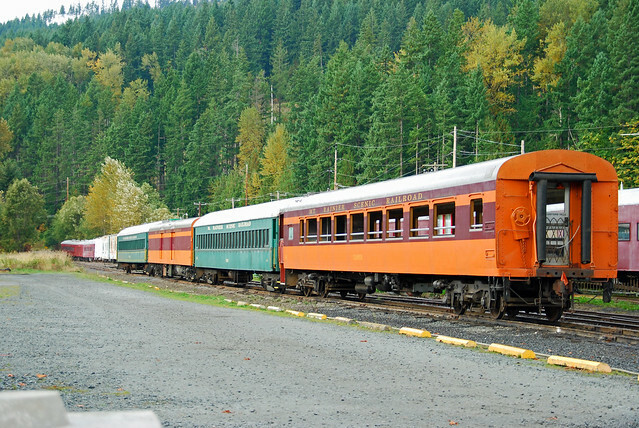 West Coast Rail Tours is offering a round trip to Squamish on this day for just $75, or you can climb aboard the Whistler Mountaineer at its BC Resident Special rate of just $109 - $129 and go on to Whistler. Thamks for the corection Tyler. I know the difference, I just had SD on the mind!! And you, Spirit of Mill Bay, thanks for adding that bit about the 12th. I was gonna mention that as well. I figured I'd add a few of my own. Enjoy! 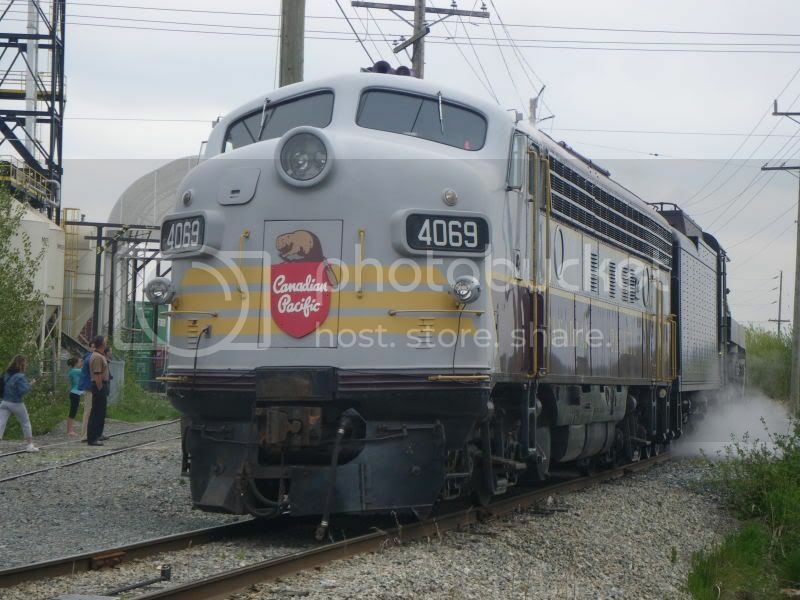 First up, SP 4449 pounding up Providence Hill on its way back to Portland after spending the summer in the midwest. You shouldn't call this an "unprofessional" video. This is better than amateur. Thread wouldn't have existed in the early 1900's since telegraph back then wouldn't have the power to send through internet graphics. 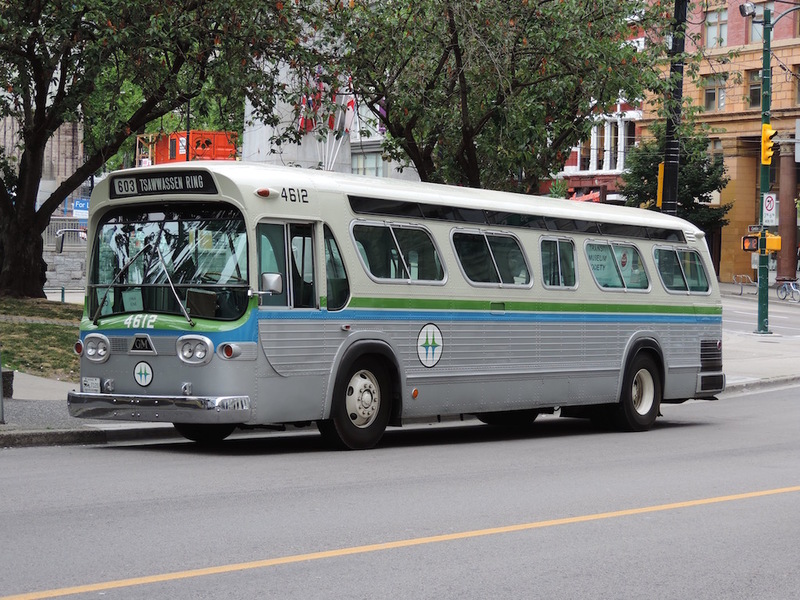 Also Direct Distance dialling (long distance without having an operator do it which was needed back then) didn't come to BC until the mid 1960s. 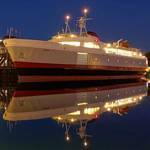 You could call Nanaimo from Vancouver yourself. Had a high speed modem at our company in 1989. Was a US Robotics 56k modem. Yep, no fancy GPS or crackberries back then. Even in the mid 1970's my Dad and I used paper charts to navigate our boat. On the P.Swift, we still use the paper charts in addition to the computerized ones. 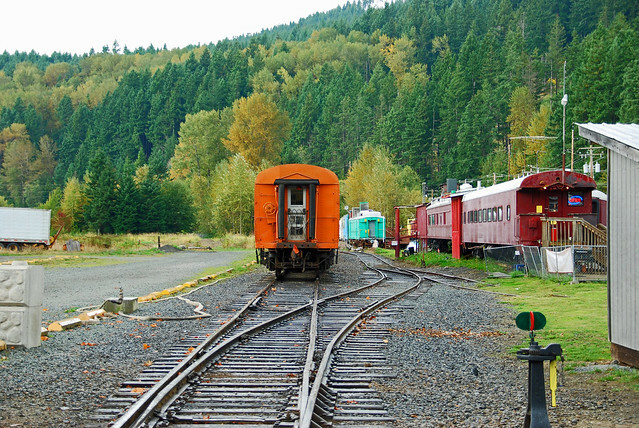 Port Alberni's summer tourist steam train, which runs from the Alberni Quay station (near the Frances Barkley dock) to McLean Mill historic site. - I saw it on Saturday, September 1, 2012. Baldwin Locomotive Works of Philadelphia, of course. I tried to line up the mill's smoke with the locomotive's stack. 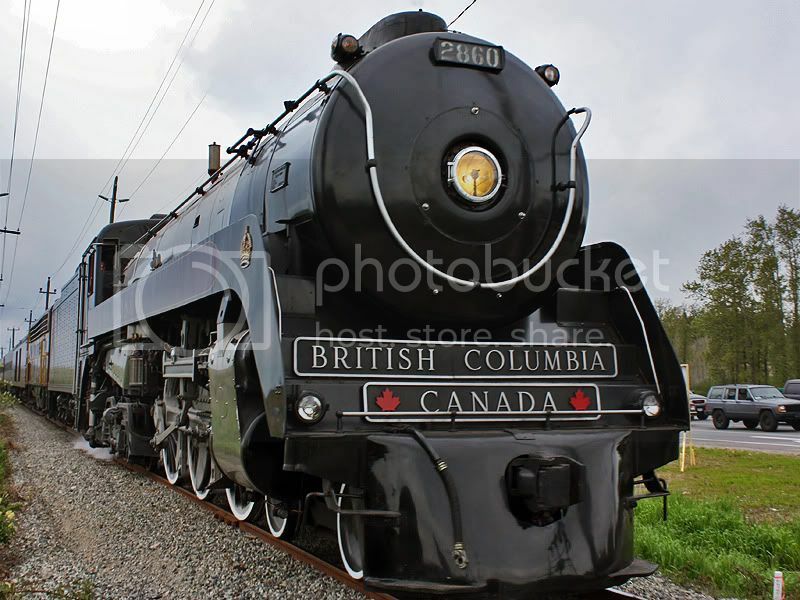 Video of the Alberni Pacific steam locomotive. - the loco is reversing, so not much to see. But you get to hear the steam-whistle a few times. CPR 3716 heading North on the Kettle Valley Steam Railway. 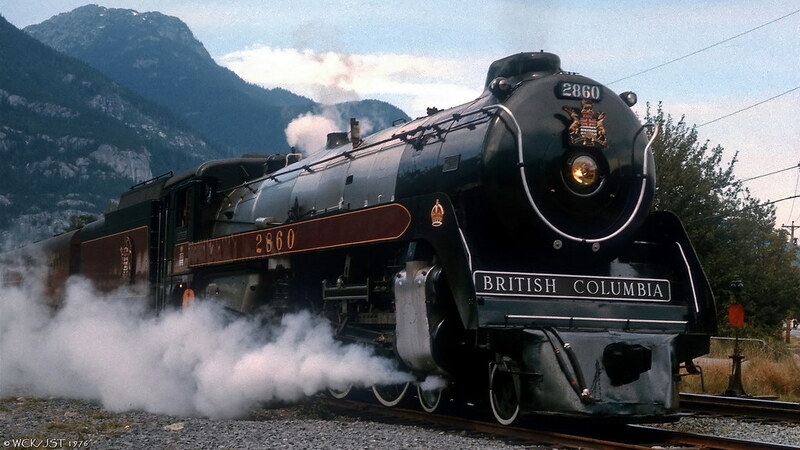 3716 was the back-up engine for CPR 2860 back when both were operated by BC Rail. 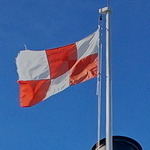 Taken August 26, 2007. 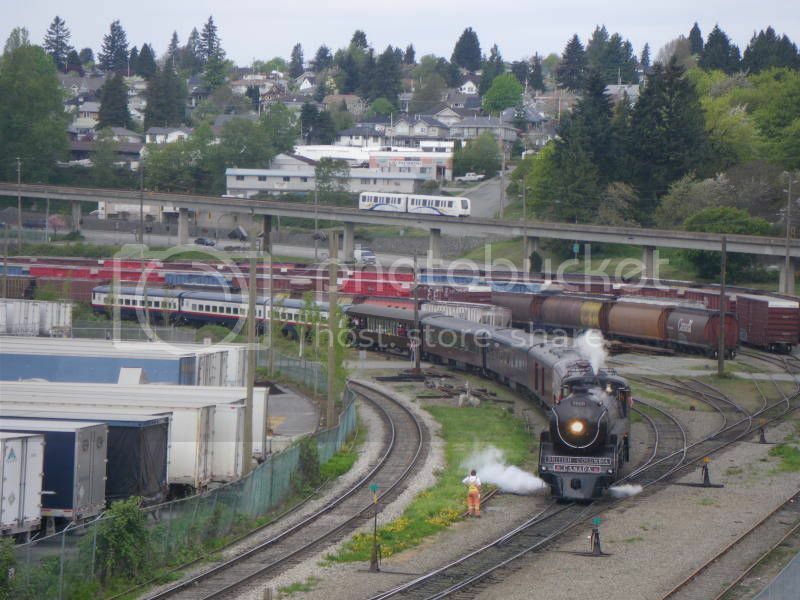 Alberni Pacific steam train seen by me on Saturday, July 6, 2013. - this is the bridge over Rogers Creek, between the 2 old towns of Alberni and Port Alberni. It was fun staking out a filming location and then waiting for the train to pass by. Always a thrill to hear the sound approaching and then see the first glimpse as it comes around the corner into view. Some photos of Kettle Valley Stream Railway. 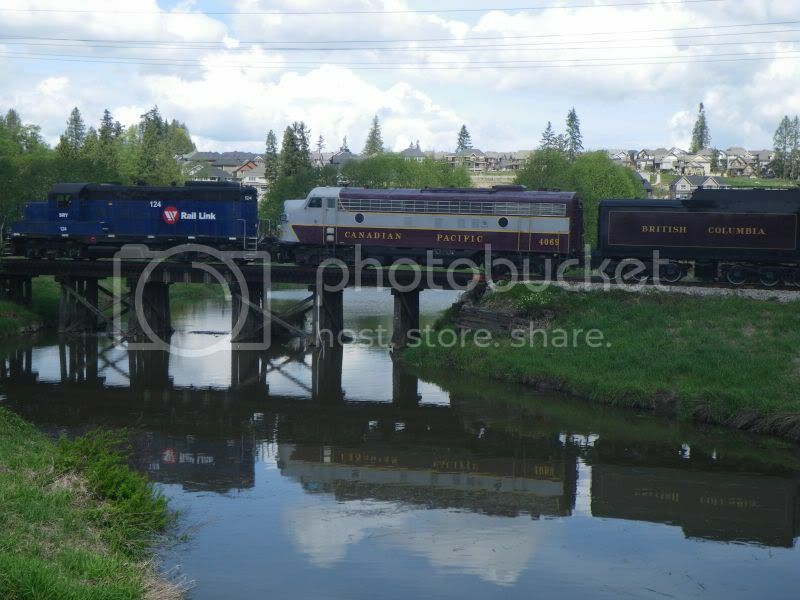 I am posting these photos to help preserve the history of railways. The CPR is important in Canadian history this what the Conderferation was based off. 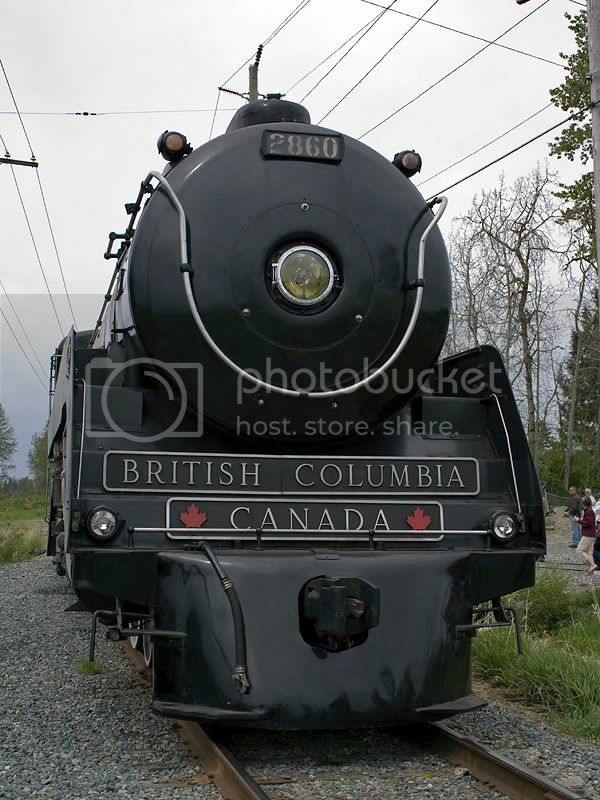 This railway helped British Columbia join the Conderferation of Canada. Looking up CP #3716 in my trackside guide, it shows that this locomotive was built in 1912 by Montreal Locomotive Works. 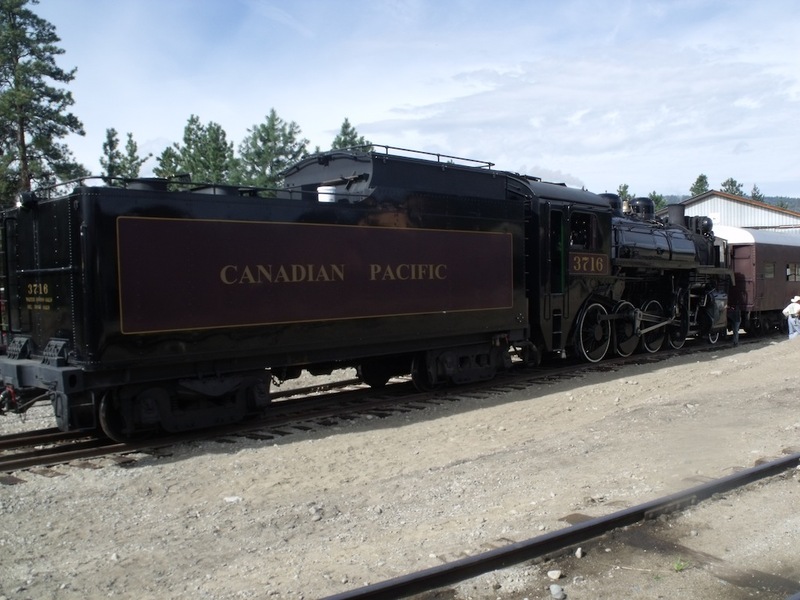 - this locomotive was built 41 years after BC joined conderferation; a joining which was based on the promise of a transcontinental railroad which would steam across many streams. 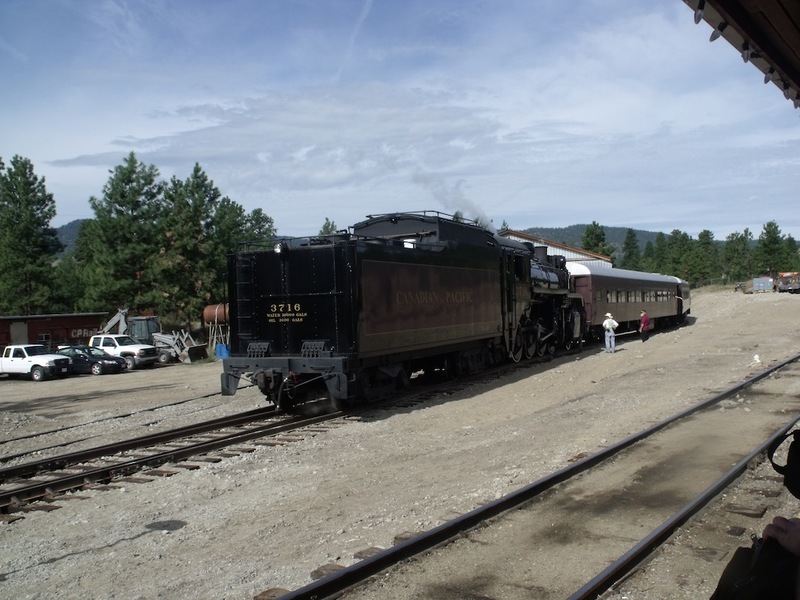 ps: The Kettle Valley Steam Railway is a summer excursion train based at Summerland, near Penticton BC. - Yes, there is a stream on the route, and there is an impressive bridge that crosses it on this excursion route at Trout Creek. 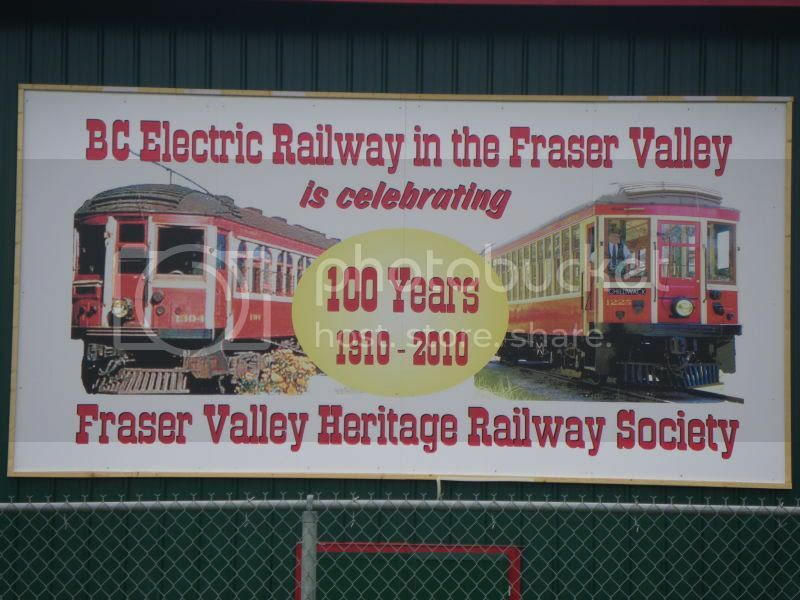 The 'Kettle Valley Steam Railway' operates on a short section of what was once the CPR's southern route across BC, better known as the Kettle Valley Railway (KVR), and in later years (1940's & 50's), the Kettle Valley Division. Prior to 1960 there was a continuous route from Hope east through BC's southern interior and across into Alberta via Crowsnest Pass. 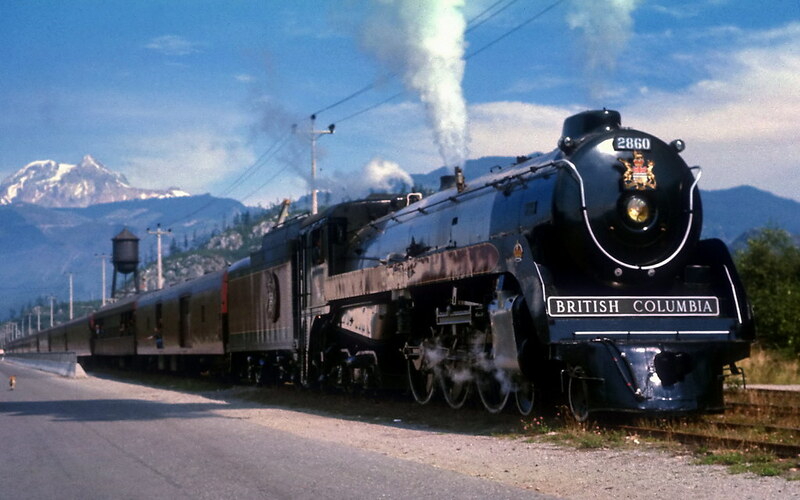 The Kettle Valley Railway proper ran from Midway, BC, west to Hope (where it connected to CP's mainline) via Rock Creek, McCulloch, Penticton, Summerland, Princeton & Coquihalla Pass. The entire route (except for the tourist steam operation at Summerland) has been abandoned and the rails lifted. The rails are also gone east of Midway, as far as Castlegar. From Castlegar east the railway remains in operation under the CPR. If you would like to know more about the KVR look for a book by Barrie Sanford entitled McCulloch's Wonder. From the Orient Express on display in Paris - an SNCF 4-6-0.